I’ll admit it—I do judge a book by its cover! (At least, initially.) 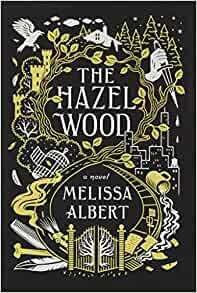 Physically, The Hazel Wood by Melissa Albert is a definite beauty-contest contestant. From the gold and silver on the black cover to the beautiful end papers to the black and white illustrations at the beginning of each chapter, booklovers will appreciate this book. Now let’s talk about the story! Alice Proserpine, 17, and her mother are always on the road. They move like some people hit coffee shops, often living with acquaintances for short periods of time. Alice’s grandmother is a famous, reclusive writer, but someone Alice has never met. Her mother avoids her at all costs. 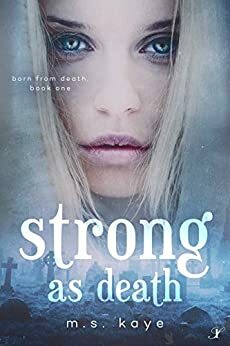 The story really gets going when Alice’s mother is abducted by someone who claims to have come from the supernatural world of her grandmother’s stories. 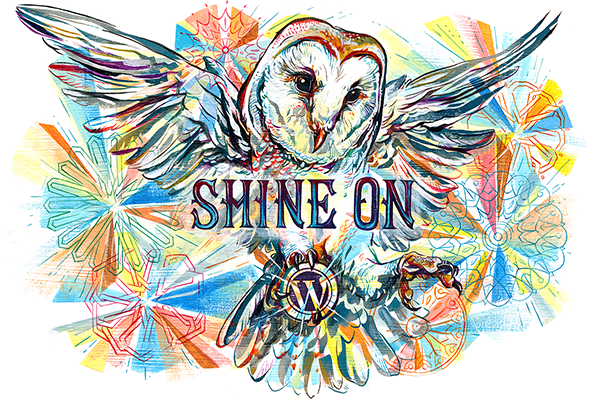 Alice and her friend, Ellery Finch, set out to find her mother and head to where her grandmother lives on an estate. They go to the very place her mother warned her against: Stay away from the Hazel Wood. She never knew a handsome face could hold so much darkness. . .
Then she meets Orion, who’s strong and genuine. But is it too late? In a future world of secrets, romance can turn deadly! Check out my bookstagrams on Instagram ! I picked this book up, not knowing what to expect except this story would be unusual. Peculiar is a perfect word for it! Sixteen-year-old Jacob has heard weird stories from his grandfather for years. When Jacob was little, he believed in these strange characters–children with special abilities, but as he grew older, he realized the tales were mere fairy tales. When Jacob finds his grandfather gravely injured outside in the dark, he also sees a monster in the shadows. Or does he? Jacob’s parents send him to a psychologist, thinking he’s having trouble with his grandfather’s death. 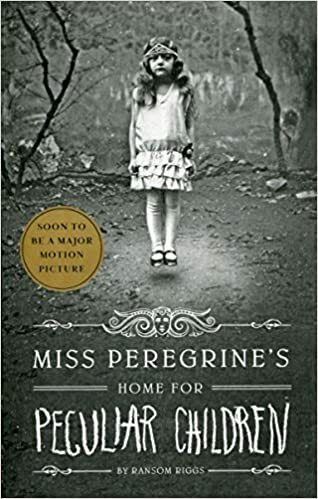 But Jacob remembers his grandfather’s dying words, as strange and coded as his many stories, and Jacob is determined to go to the remote island where his grandfather lived as a boy–Miss Peregrine’s Home for Peculiar Children. There he finds the ruins of the building, walls crumbled from an air attack during WWII. But soon he realizes the house is not abandoned! You’ll enjoy the many real–strange–photographs in the book. The author, Ransom Riggs, perused through vintage photos in flea markets and antique stores, which he used in writing the story. I found myself intrigued with the book, turning page after page. Read the book before you see the movie! If you like series, two sequels to this book are already available: Hollow City and Library of Souls. Follow me on Instagram at lucindastein. Check out my bookstagram pic for this book! Surrounded by a psychic family, Blue is the only member of her eccentric family who has no psychic ability. She does however make psychic power stronger in those who have it. Blue’s been told for years that she can’t kiss a boy because a kiss to her true love would kill him. She decides to never kiss any boy. 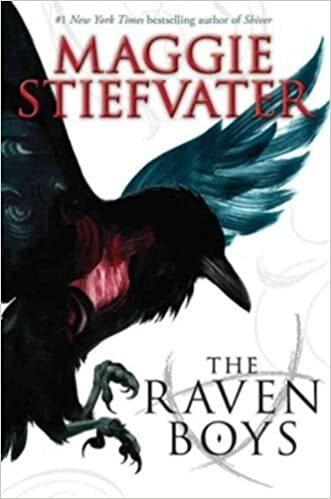 The first chapter draws you in, but it takes more persistence to stick with the story of the Raven boys, who attend Aglionby Academy, a nearby private school. The boys’ complicated relationships take a while to unfold, but if you stick with it, your reward will be an intriguing paranormal story. There’s Ronan, an angry boy who skips classes and gets into fights with his older brother. There’s Adam, a good-looking teen, who unlike the others, comes from a poor family and struggles to stay in the expensive school. His abusive father hates his son’s motivation to better himself and has no problem beating his son. And there’s shy Noah who remains in the background, who holds a secret that none of them could ever imagine. Coming from a wealthy family, Gansey, the leader of the Raven Boys, has been looking into ley lines—places where spirits travel—for a long time as he searches for the grave of a Welsh king, Glendower, who legend claims will grant a reward to the one who awakens him. An instructor at Aglionby Academy is also searching for Glendower and will do anything to find it—including murder. Blue becomes involved with the Raven Boys when Adam expresses an interest in her. Though attracted to him, she worries how the relationship will develop, knowing the curse that’s connected to her. She joins their venture of locating Glendower’s grave. Later, Blue and Gansey discover a body near an ancient church. This body is of their time period. Decayed, there’s not much left to identify the corpse. Gansey finds a billfold. Inside, the driver’s license photo turns out to be someone they all know. They soon discover that danger lurks within their grand adventure, threatening each and every one of them. This is the first title in a series of four books. Ilona is sick and tired of never leaving home without her mother by her side. Frustrated by her mother’s constant presence and overprotectiveness, seventeen-year-old Ilona escapes their apartment. She observes a woman being threatened and steps up to help. That’s when Ilona is hit by a car. Taken to the hospital, her legs miraculously heal, something that has always occurred when she’s injured. A little boy appears, crying for his mother. When Joey runs straight through a hospital curtain, Ilona realizes the boy is a ghost. Her mother has always refused to talk about things that seem out of place, and Ilona is determined to find out about the world but, most of all, about herself. Wandering the streets in a bad neighborhood in Brooklyn, she meets Archer, a rough-looking boy, who befriends her and directs her to safety. On her quest to uncover what her mother has always hidden from her, Ilona discovers she’s in love with Archer. But there’s a problem. How can you love someone who never gives you the hug you desire or the kiss you dream about? This book will appeal to both male and female readers, as many of the characters are male. FYI: repetitive harsh language occurs from characters in the story who are gang members. This intriguing story takes the reader on a fast-pace journey through the alter-dimension between life and death. This is the debut of a new series, so you can look forward to more of this fascinating story!